Gardening season is in full swing. So, if you have a garden lover in your life, giving them a gardening gift is a great idea. 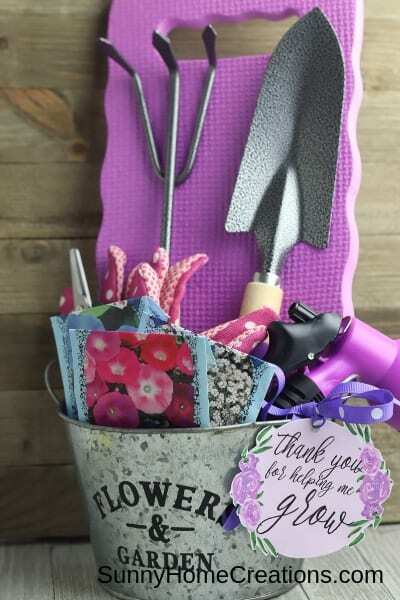 Whether your kid’s teacher enjoys getting out in the garden or your mother has a green thumb, this beautiful gardening gift basket is the perfect gift idea this spring season. 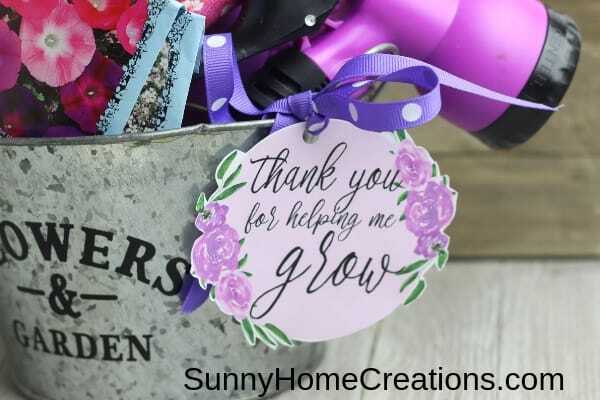 In addition to being filled with a ton of useful gardening items, this amazing gift basket is also a thoughtful gift – thanks to the beautiful printable gift tag I have for you! 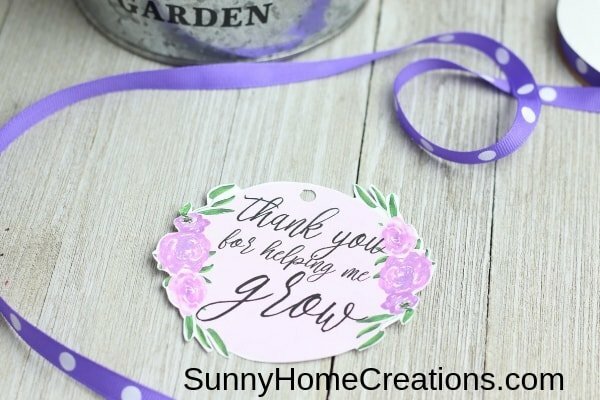 To make your own gardening gift basket, start by printing out my free printable gift tag, which you can find below. Then, head to Dollar Tree to pick up everything you need to make this budget-friendly gardening gift basket. And everything included in the basket was purchased at Dollar Tree! That means I spent less than $10 on this amazing gift! The contents of this gift basket are only a small part of the huge selection of gardening supplies you can find at the dollar store. 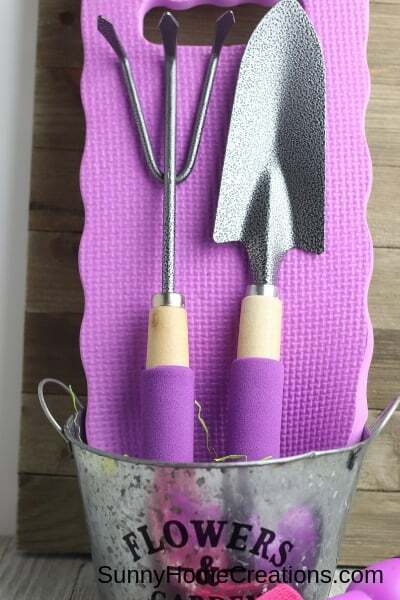 In addition to gardening tools, you can also find tons of cute garden décor, in addition to lots of pots and planters to choose from. That means you can customize this budget-friendly gift using items you find at your local store. The base of the gardening gift basket is an adorable metal planter. Can you believe this came from the dollar store? Start by placing a little bit of Easter grass or tissue paper in the bottom of the planter to provide a place for all your basket elements to rest. This will help everything stand upright and make the basket look amazing when you’re finished! 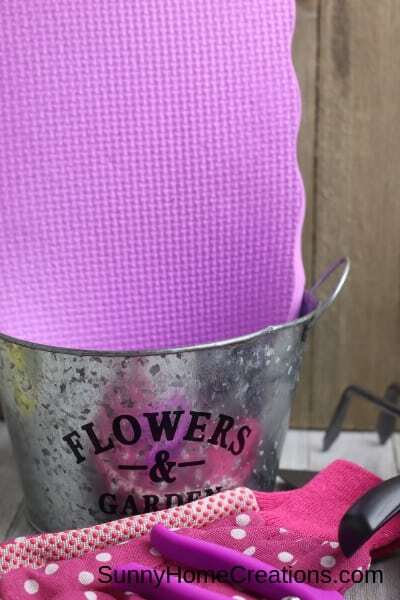 Place the gardening knee pad in the back of the basket to serve as the backdrop to the rest of your items. Then, add in the tall pieces, like the shovel and rake. Continue filling your basket with the other items, like the hose nozzle, pruning shears, and gardening gloves. 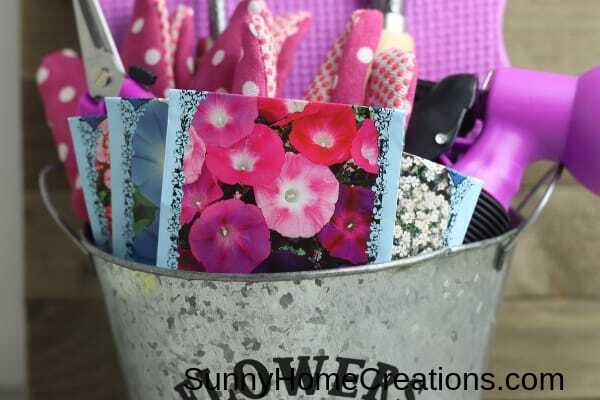 Place the seed packets in the front of the basket to add little floral decoration to the gift. 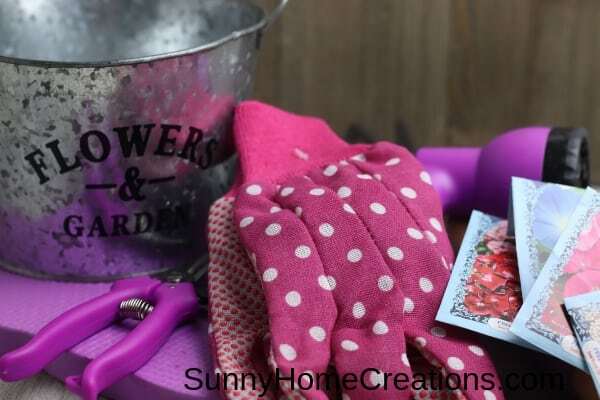 The finishing touch to this cute gardening gift basket is the card. After downloading your free gift tag, print it out on heavy card stock. Then cut it out around the edge of the card. I cut around each flower and leaf to give the card a more detailed look, making it the perfect accent to this lovely gift basket. Finish creating your thoughtful gift by attaching the card to the planter using a matching ribbon.